This year’s Gurkha recruit selection process is nearing its completion. 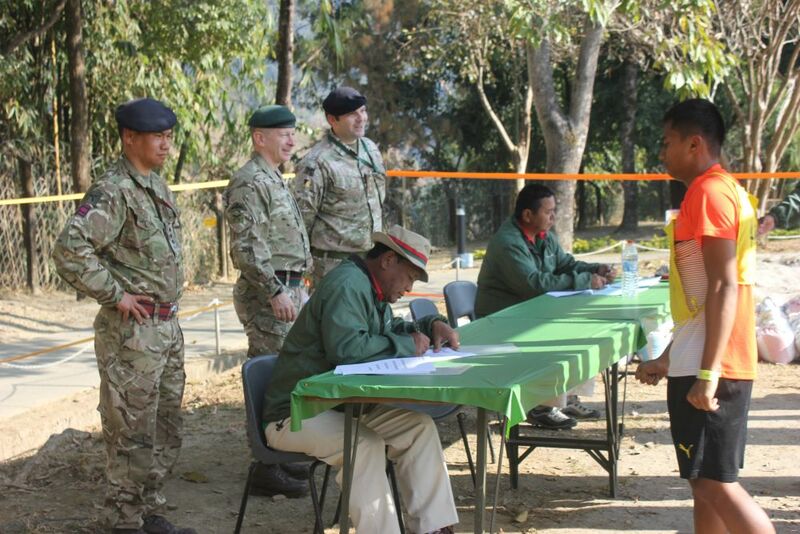 Central Selection is currently on-going in British Gurkhas Pokhara to the west of Nepal. Over the month of January 500 potential recruits will be assessed and the top 270 will be selected for the British Army. 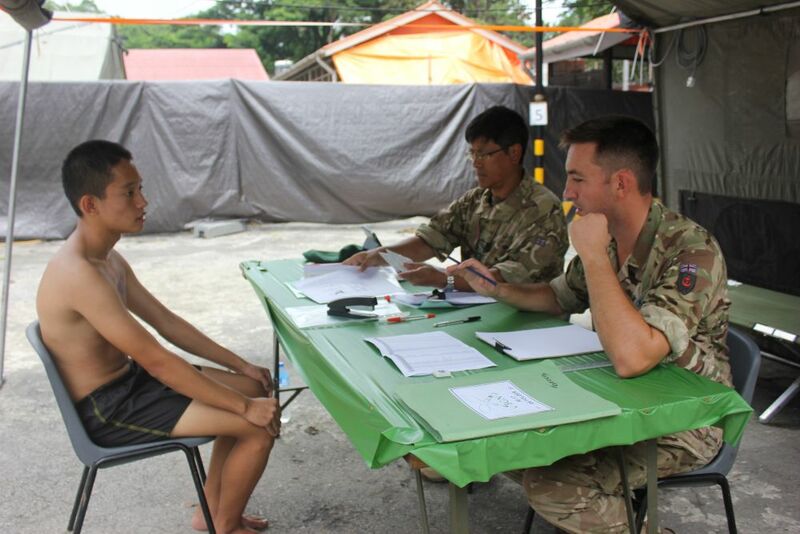 Recent visitors have included Brigadier Nick Fitzgerald MBE, Director of Operations Army Training and Recruiting, who is responsible for all British Army recruiting and came to learn how the Brigade of Gurkhas downsizes some 10,000 applicants each year. He was accompanied by Colonel James Robinson, Colonel Brigade of Gurkhas. Also in attendance were Colonel Peter Stitt and Lieutenant Colonel Simon Davies from the School of Infantry. Each potential recruit undergoes a series of tests over a 4-day period. These include; a full medical, functional movement screening, heaves and sit ups, and the 4.7km doko race as well as the 2.4km run. There is a heavy emphasis on education to confirm that the potential recruits have competed the necessary minimum English and Maths exams. The assessment finishes with an interview in Nepali when the potential recruits have an opportunity to display their character and motivation for joining the British Army. Most of the scoring is objective as there is much pressure to be successful. There are many layers of checks to ensure the process remains fair and transparent. 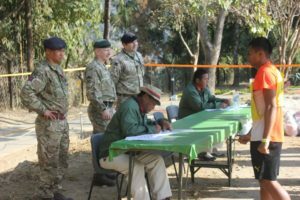 Once the recruits are selected they come under the command of the Brigade of Gurkhas instructors who have flown out from the Infantry Training Centre in UK. For ten days, they complete administration, are introduced to the Brigade and prepare to fly to the UK. After a kit issue and some drill, the recruits conduct an Attestation Parade at British Gurkhas Pokhara in front of their proud families and friends who they will not see again for some time. This year’s parade will take place on 9 February.